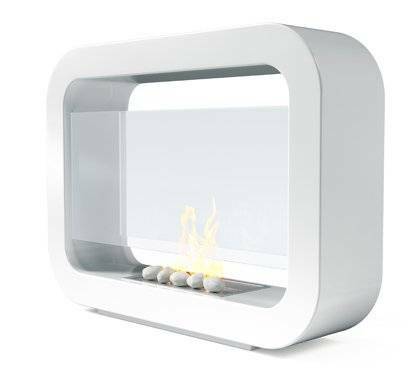 We supply a range of top-quality bioethanol fuel to ensure optimum performance from any imaginfires bioethanol fireplace. 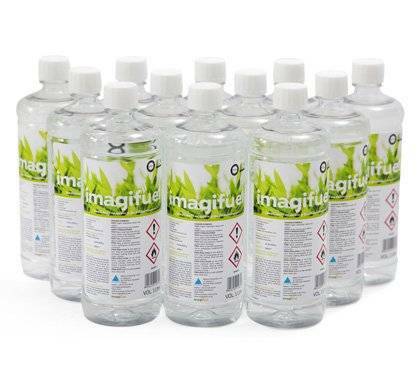 Choose from a range of pack sizes, including 1-litre, 6 x 1-litre bottles, or our popular 12 x 1-litre pack. 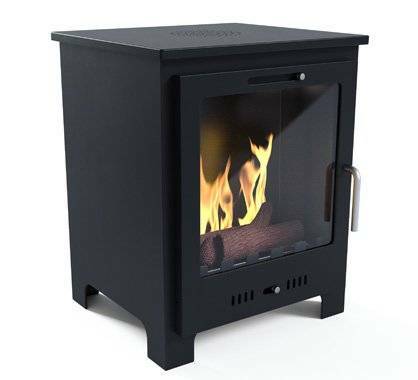 They are safe and easy to use: simply squeeze the bioethanol fuel into the fuel box inside the fireplace and then ignite with a fire lighter. New for 2017, and following customer requests, we are also delighted to announce the arrival of new bioethanol fuels. 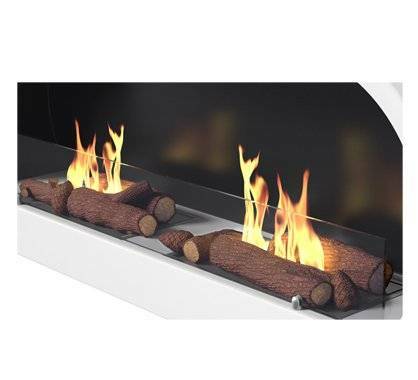 In addition to our very popular standard bioethanol fuel, there is now a ‘Coffee Scented’ option, that slowly emits a subtle coffee fragrance, and a ‘Deep Forest’ scented option if you prefer a gentle reminder of the great outdoors whilst enjoying the cosy atmosphere of your bioethanol fire indoors. Finally, there is the new addition of our ‘Low Odour’ bio ethanol fuel, which has already proved very popular for those that prefer virtually an odourless scent. Using bio fuel has many advantages: They are amongst the lowest odour, cleanest burning fuels on the market. What's more, they are less harmful in terms of greenhouse gas emissions and are a renewable energy fuel source, making them more environmentally friendly for the planet. Nothing can beat the dancing flame of a bio fuel fire - and if you're reducing the amount of harmful greenhouse gas emissions, you can't go wrong. Bioethanol fuel is also carbon neutral. This means that the carbon dioxide released during bioethanol production is the same amount as the crops have previously absorbed during photosynthesis. Any plant can be used to produce ethanol, if it contains sugar and starch. Historically, alcohol fuel has been of interest, since it can be synthesised biologically or chemically. Ethanol is known as an aliphatic alcohol and using it to produce bioethanol fuel for fireplaces ultimately results in less damage to the ozone layer, thanks to its carbon neutral properties. Biofuels such as bioethanol are made from energy crops - these are plants grown at a low cost, with a low-maintenance harvest, creating a fuel mixture that can be combusted to generate heat. This makes ethanol burners a cost-effective solution when compared to many other fuels. When you compare the choice of fuel for fireplaces, bio fuel is the best option. 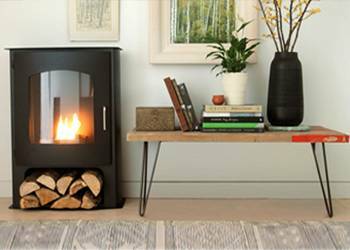 For example, a wood burning fireplace costs an estimated £2.14 per hour, compared with just 50p an hour for a bioethanol burner. 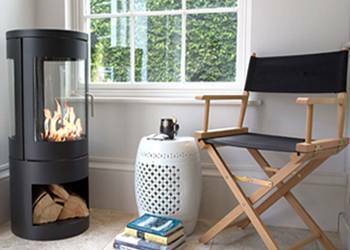 Our range of freestanding fireplaces burning bioethanol have an excellent burn time, with one litre of our bio fuel lasting, on average, between three and four hours. If you're looking to buy fuel, check out the options available above. If you're a newcomer to using bioethanol fuel, as with any other combustible product, be sure to read the relevant safety information before use in terms of storage and disposal of used containers. 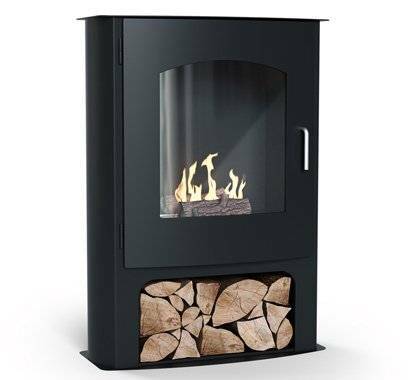 Imaginfires also has a huge range of fireplace ideas - choose a fire design from our selection of fireplaces that will complement any décor. 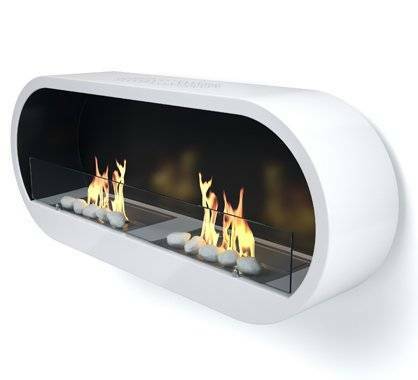 It's time to fire up your bioethanol burner and join the thousands of other people who are benefiting from this clean and environmentally friendly heat source! For more detailed information on our bioethanol fuel, please go to our FAQ section here.